We recently caught up with Swedish Native, Lisa Furuland, the creator of DockATot. You have probably seen this must-have multifunctional lounging dock in the homes of celebrities, magazines like Vogue and a huge social media following of this ultimate baby item. The DockATot is a lightweight pod designed to keep babies snug with a cocoon-like feeling to comfort and soothe them. As moms, this is one product that we swear by and yes, it’s worth every penny despite the cost. ($165-$290) (You can read how we love to travel with it, our daily routine and a baby must item) It’s so easy to travel from place-to-place and great for little ones aged 0-36 months. For babies, it allows them to sleep, play, snuggle and tummy time and toddlers, a great transition from crib to bed, acting as a bed rail for security and safety. 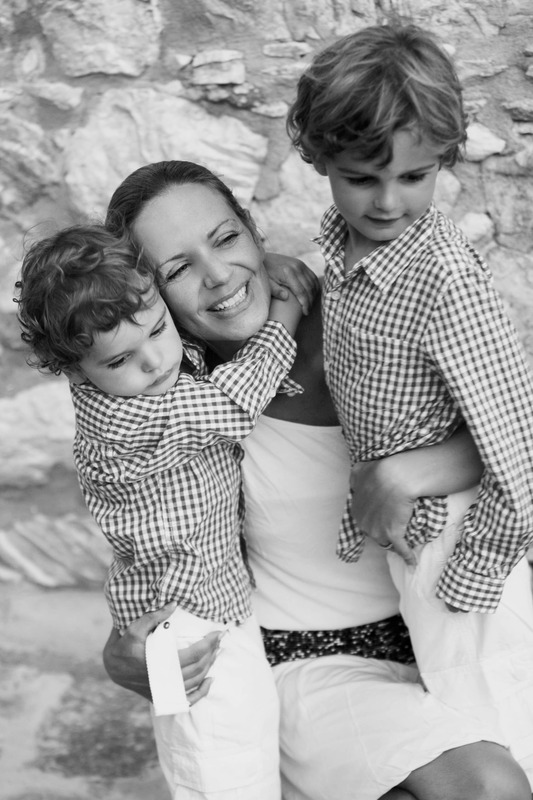 The mother to two handsome little boys, IIias (age 11) and Troy (age 9) is serious #MomGoals and we can’t wait to see just what else she has in store for us! 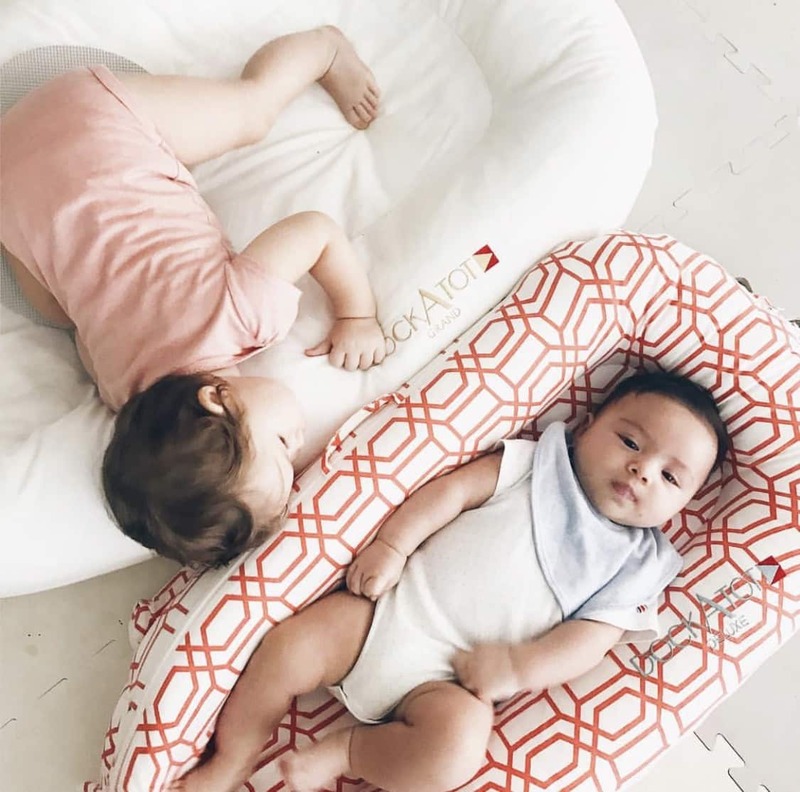 How did you come up with the genius product that all mama’s love- DockATot? I studied art history and Architectural Education, so I was always very creative and interested in design. It was when my first son, Ilias, was born, when I was first inspired to create something new in the baby and children’s industry. I wanted to find an alternative to a blanket, a cot and a baby lounger, something that was more snug but also multi-functional and completely safe. When I couldn’t find it., I created it and spent many years refining the design and testing for safety and breathability. We launched our brand Sleepyhead® almost 10 years ago in Europe, and DockATot® was launched in July 2015 in the US. DockATot®. What made you want to start your own company and become an entrepreneur? I don’t think I ever set out to own my own global company, but I knew what the entrepreneur life was all about since I had I started my first media company at the age of 24. Now my husband Costa and I run three businesses together. After the birth of my son, I understood that the needs of babies in the critical fourth trimester were not being addressed in the market and I set out to fill the gap and design a product that would soon become an entire new category. My mission was and continues to be to provide the highest quality and safest products that help make parents lives easier. Finding the time to fit everything in is never easy. As much as I can, I always try prioritize family time before work. I know that these precious days when the children are young won’t last forever. When they’re older, I know I won’t be thinking ‘I wish I had gone on more conferences and business trips when they were young.’ On the contrary. Time together as a family is what sets the agenda for our lives and work at this point in time. My favorite part is the flexibility for sure! I’m able to work from home so I don’t have to worry about a long commute and I’m able to see my children in the morning before school and directly after school. Also, as an entrepreneur, I am hopefully teaching my kids a solid work ethic and a sense of pride. I hope that my kids will feel like they, too, can accomplish whatever they set their minds to. I also think it’s important to show the world that women can be just as much as a force as men in the work world. Mom time is usually working out or practicing my headstand to achieve balance, and I always make time for a good blow out at the hair salon! When was your moment that you knew when DockATot “made it” in the baby gear industry? I knew we had made it big when our Instagram account began growing so fast. Moms were recommending the product to each other. And not just Moms, but celebrities were reaching out asking us to send them docks. We also had a few big stores approach us to tell us “DockATot” was a top search term on their websites. So we knew from all the reviews, industry feedback, and mom recommendations that this was a product parents had been waiting for. Now that DockATot has made a name for itself, we noticed that you are now launching a new product this summer, CloudTot! Tell us more about this state-of-the-art technology! We just unveiled our latest invention at the ABC Kids Expo in Las Vegas! The CloudTot is a genius product, if I may say so myself. CloudTot allows you to track baby’s movement and breathing with two revolutionary patent pending features, The first is a pep peg that gently nudges baby awake and alerts parents if no movement (meaning no breathing) is detected for 12 seconds. And the second is moisture detection via app and special conductive fabric that tells you when baby has wet the bed. We are over the moon to be released this product soon as there are no other motion sensor currently on the market with these special capabilities. How does a typical day for you and your kids look like? Where do you live? I currently live in Athens, Greece. The whole family recently relocated from Sweden to Greece. And we really love it! A typical day in my life involves breakfast with the kids, getting them ready and taking them to school. I’m fortunate to be able to work from home, so I retreat to my office right after the kids leave – or right after a workout – and then it’s back to back phone calls, approving designs, checking in with all my teams around the world and answering many emails. I resurface after the kids get home and make sure to always have dinner together as a family. Then, when the boys are in bed, work tends to continue into the night, with answering emails until late. Which is what happens when you’re global, with teams and partners in various time zones. Name your favorite stores to shop for your boys? We’re eclectic when it comes to labels; we cherry-pick. However, two of my ideal shopping destinations are smallable and scotchandsoda. With their constantly updated offerings, you can mix preppy with boho. Stylishly laid-back. I am lucky that our favorite vacation spots Athens, Greece has become our new home. I have to pinch myself when watching the sunrise and sunset from our balcony and remind myself that I now live here. It’s been an amazing change of lifestyle for us. The boys are so active and now we can enjoy the best of both worlds, beautiful beaches and nautical life as well as cultural visits to see historic areas in Athens. It’s really been such an amazing experience. Even though we are residents now of the Athens riviera, there is still so many amazing places to explore – and revisit! What are 3 of your must-have beauty products? I am pretty much a minimalist when it comes to beauty products. I apply almost nothing. I usually just use Aesop’s A Rose by Any Other Name body wash and apply sun screen. But I couldn’t live without my Babor compact powder (Perfect Finish Foundation) and Clinique concealer. Throw in a good mascara and I’m good to go. What advice can you give to other aspiring entrepreneur moms that are trying to balance work and life? Being a working parent can be tough, and I think women in general could support one another more. Be happy for the accomplishments of other women and cheer each other on, be it personally or professionally. If both you and your accomplishments are recognized, it does wonders for your energy levels. Also, you need to pursue uniqueness. Don’t copy – where’s the pride in that? To become truly successful, you need to fill a void in the market. And don’t be afraid to take risks. I always do something I am a little not ready to do. And it seems to work. That’s how I pave the way for things to happen. I stumble and fall at times, but what’s a small bruise in the big scheme?! Our kiddos in the DockATot Deluxe and Grand!